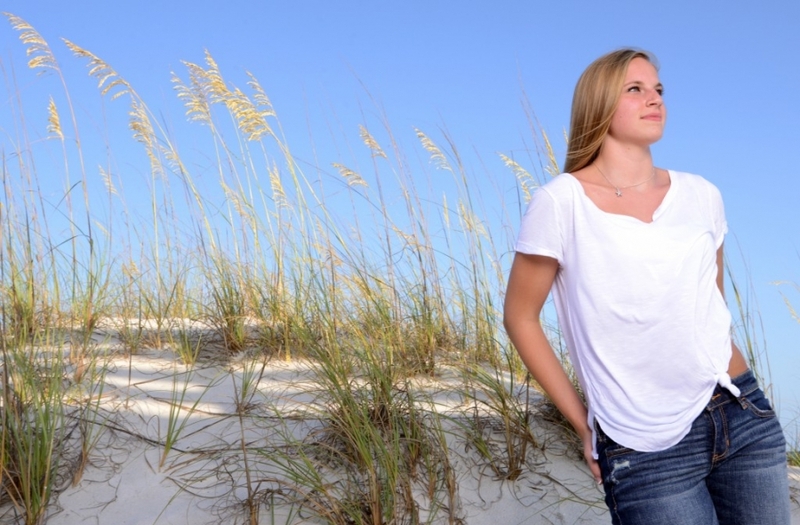 The weather was perfect for Kylee’s Panama City Beach portrait session at St. Andrews State Park. Not too hot, not too humid and not much wind. 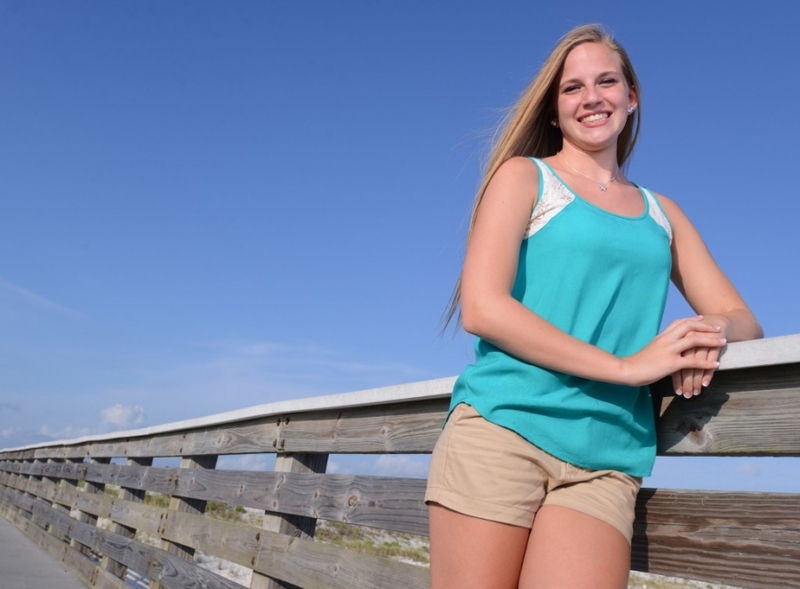 A Panama City Beach senior portrait photographer couldn’t ask for much better. Oh, yeah…there weren’t too many people on the beach either. I had to work a little hard to make sure there was no one walking in the background of a few of our senior photos, but thankfully I didn’t have to worry about it too much. Variety in photographs is important to me and during my photo sessions I always try to get something different. I do not want all of my photos sessions to look the same. Kylee was a delight to photograph and was up for and patient enough to try any photo I could think of. I especially enjoyed the beginning part of our session where we photographed at the pier. Under the pier there is a fun little nook that is great for photo sessions. If I play my cards right, I can squeeze two or three different poses in a really small area and still come out with very distinct looks. 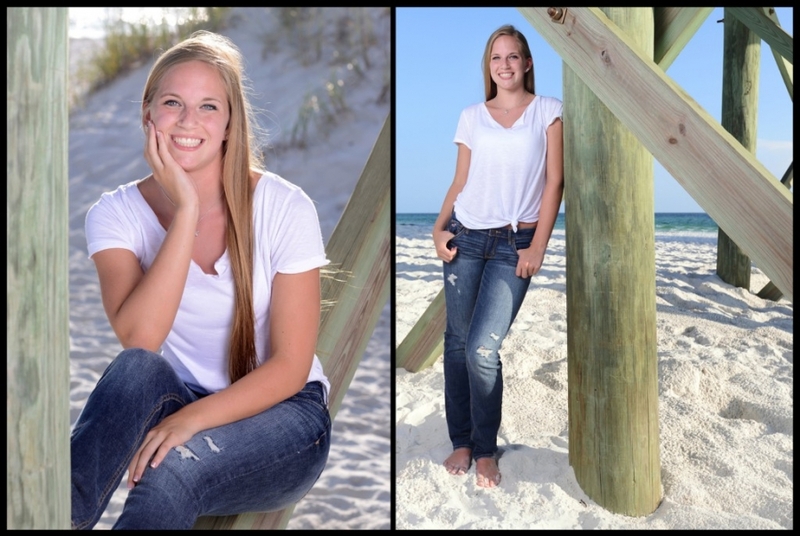 I’ve said it before and I’ll say it again…I love being a Panama City Beach senior portrait photographer. It’s always fun working with a photogenic high-school senior for a couple of hours. Best of luck on your last year of high school, Kylee!